Ready to pick apart the gaming slate to find a hidden gem or two? Welcome to the another installment of PlayStation Releases: Best of the Rest, PlayStation LifeStyle’s recurring feature that acts as a concise tie-in to our Monthly Releases Spotlight. But whereas our video series would cast the net far and wide to assemble each and every release headed to PlayStation platforms over the next four weeks, the purpose of this feature is to cherry-pick the lesser-known titles among that catalog. 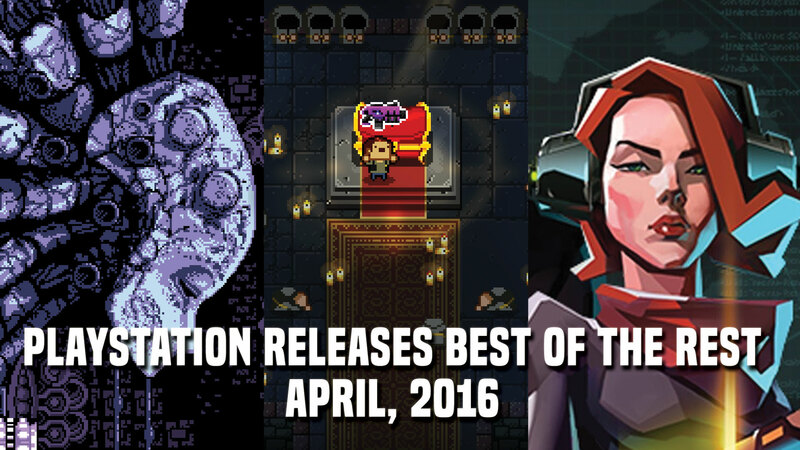 Yes, April is upon us, and thanks to The Witness, Firewatch, Unravel and Ubisoft’s The Division — arguably the biggest tentpole of the year thus far after Street Fighter V — 2016 is off to a flyer. But we get it, such an onslaught of new software can make it difficult to see the wood for the trees. Besides, modern-day life and other responsibilities beyond the perimeters of our pixelated havens often push and pull at our limited time to pick up a controller (or indeed handheld), and that’s something I’m confident we can all relate to. Spare time is precious, and even when you only account for the software headed to PlayStation platforms, the list of games slated for a release in 2016 is staggering. But before we get too caught up in the months to come, here we present a handful of the lesser-known titles arriving on PlayStation platforms over in April. Outside of Dark Souls 3, Ratchet & Clank, Housemarque’s Alienation and other heavy-hitters, there is plenty to look forward to in April. So, will you dabble with Dodge Roll’s dungeon crawler? Or have you been holding out for Tom Happ’s Axiom Verge to make a beeline to Vita? Drop your thoughts down below.